What Are The Most Popular Types Of Massage? The use of massage therapy dates back thousands of years to ancient cultures that believed in its medical benefits. The first written records of massage therapy are found in China and Egypt around 2700 BCE and modern massage therapy continues to use massage techniques from across the globe, each with its own unique style and differing effect. 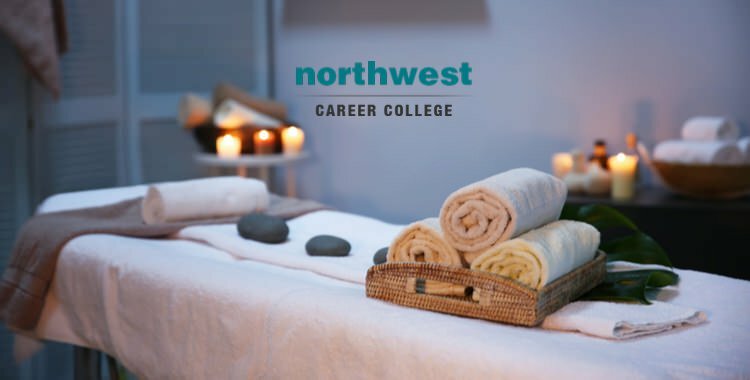 Here at Northwest Career College, we operate one of the premier massage schools in Las Vegas and our established, seasoned Las Vegas instructors offer day and night classes to accommodate your work and family schedules. 1. Swedish Massage – Swedish Massage, also referred to as Classical Massage in non-English speaking countries, uses five distinct styles of massaging stroke. The five basic strokes are effleurage (sliding or gliding), petrissage (kneading), tapotement (rhythmic tapping), friction (cross fiber or with the fibers) and vibration/shaking. The benefits of Swedish Massage can include reduced pain, joint stiffness, and improved function in patients with osteoarthritis. Recent clinical studies have also shown that Swedish Massage can effectively reduce lower back pain for up to 15 weeks after treatment. In addition to its physical benefits, studies have reported that Swedish Massage caused a reduction in salivary cortisol, indicating that having a Swedish Massage resulted in reduced stress and an improvement in mood. 2. Shiatsu Massage – Originating from Japan and translating as “finger pressure”, Shiatsu Massage focuses on specific pressure points along the body’s centre line. The Japanese Ministry of Health defines Shiatsu as “a form of manipulation by thumbs, fingers and palms without the use of instruments, mechanical or otherwise, to apply pressure to the human skin to correct internal malfunctions, promote and maintain health, and treat specific diseases. The techniques used in shiatsu include stretching, holding, and most commonly, leaning body weight into various points along key channels.” Because of its focus on manipulating pressure points and flows of energy through the body, Shiatsu is often used in alternative medicine. 3. Deep Tissue Massage – Despite the name, Deep Tissue Massage does not always involve significant pressure being applied. The massage therapist uses a variety of techniques to access the deeper layers of connective tissues and muscles below the superficial layer of muscles. Deep Tissue Massage has been linked with stress release, improved healing of muscular damage and faster recovery from injury. 4. Hot Stone Therapy – While more of a spa treatment that a true massage, the use, and popularity, of Hot Stone Therapy has grown significantly in recent years. This technique involves placing stones, heated to a comfortably warm temperature, on specific areas of the body. The heat and weight of the stones relaxes the surrounding muscles, with this effect often being complimented with gentle pressure from the massage therapist. 5. Medical Massage – Medical Massage can be used to describe a range of techniques including deep tissue massage, myofascial release, trigger-point therapy, osteopathic techniques and cranial-sacral techniques. Studies have linked Medical Massage to improved pain management, reduced state anxiety, blood pressure, heart rate and found improvements in anxiety and depression that were similar to effects of psychotherapy. At Northwest Career College, we operate one of the best Massage Therapy Schools in Las Vegas and our Massage Therapy Course will teach you the skills you’ll need to apply the benefits of sports massage. The benefits of massage therapy are widely recognized with employment for massage therapists expected to increase by 22% between 2014-2024, with an average massage therapist earning $39,360 a year. Additionally, many massage therapists maintain active, private practices as well increasing both their flexibility and earnings. Previous Blog: What Are The Benefits Of A Career As A Phlebotomist?Next Blog: What Does A Pharmacy Technician Do?